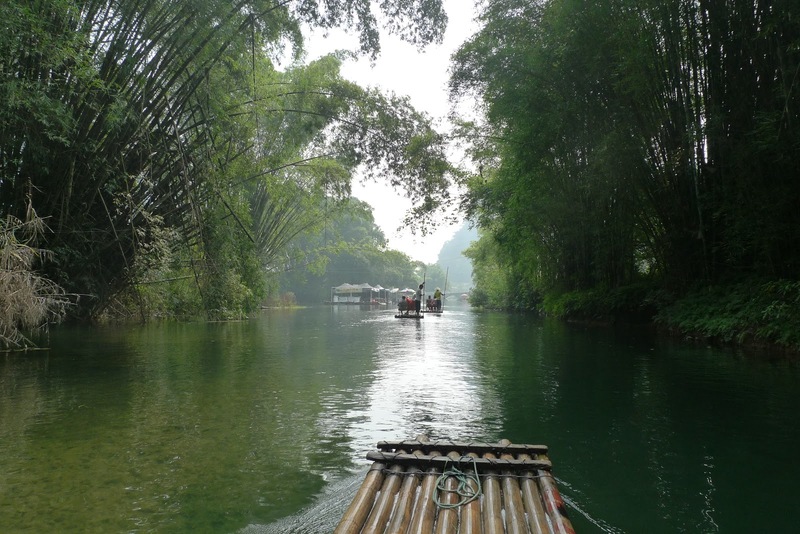 It’s no wonder we loved Yangshuo so much. 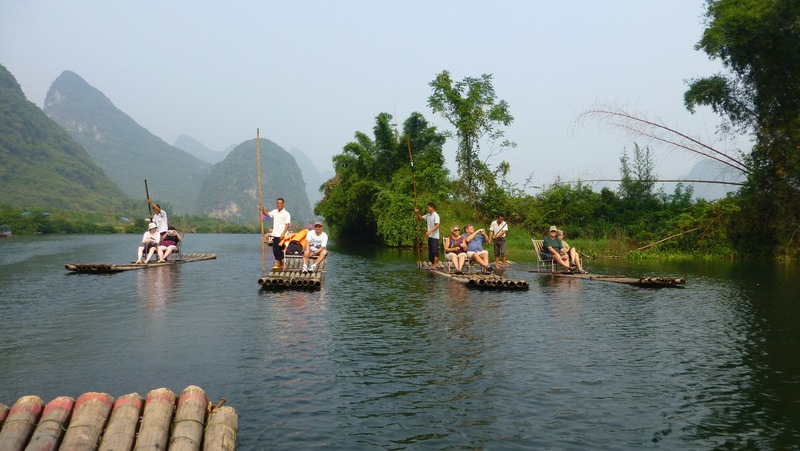 Bicycling, cooking, eating, and then floating on a bamboo raft down the crisp clear Yulong River (also known as the Mini Li River). The English translation is “meeting the dragon” because mythically a dragon came to the river and wouldn’t leave because he loved it so much. Easy to understand once you’ve seen this place. 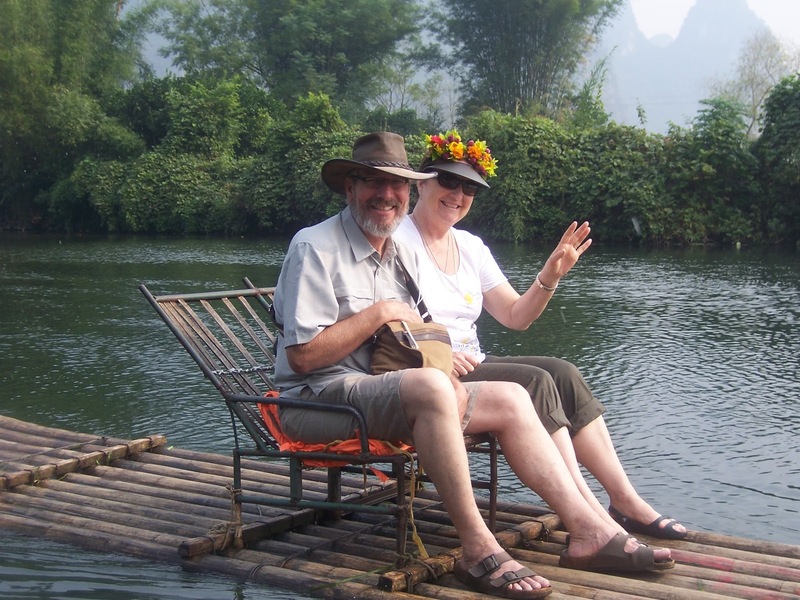 At the starting point we gingerly positioned ourselves in wicker seats on our bamboo raft, then we were guided downriver by a really cool local guide using a long bamboo pole. We really do look like middle aged tourists, don’t we? Our very handsome guide. I loved his elegance. 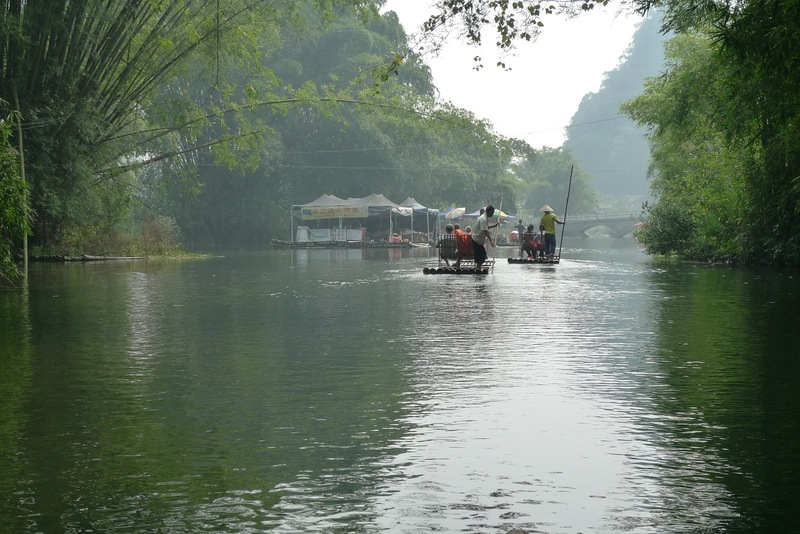 We were blown away by the beautiful misty scenery as we peacefully meandered through the karst mountains, farmlands and villages. About every 200 meters or so there were small weirs, which were set up ages ago to help the local farmers manage their water supply for the adjoining rice fields. I don’t know why but the farmers don’t need to do this any more but the weirs have been maintained for heritage value. 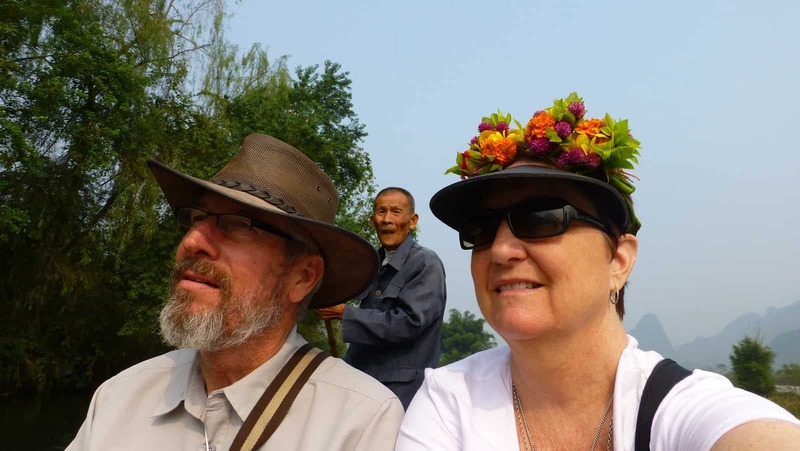 It was great fun when our guide eased us over the weirs and we all had a laugh to see if any of us would get stuck. At different parts some of us did get stuck on the weir and had to be helped over by another guide. Awesome! 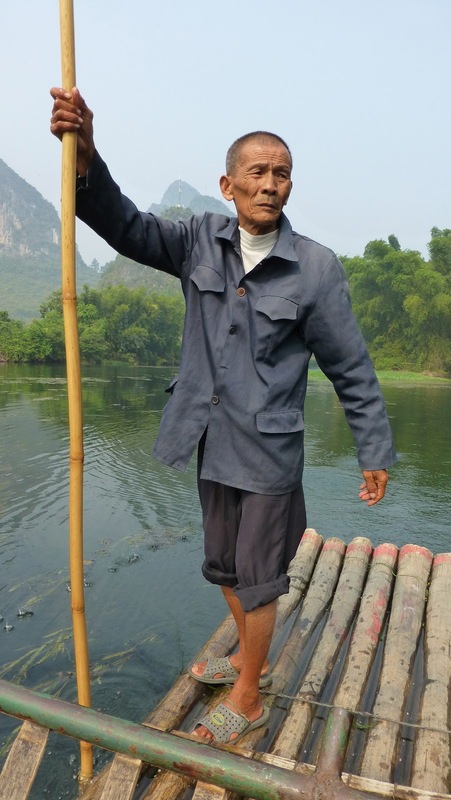 There were touts positioned strategically along the river on bamboo pontoon. They are set up to take your photos as you approach, then the guide pulls up alongside and they want you to buy your photo, which they print and laminate for you on the spot. Coming up to some touts.